KARePass nothing but Karnataka State Electronic Payment & Application System is a Scholarships welfare department to issue the scholarships for eligible students. Karnataka Students eligibility criteria is decided by the government of Karnataka. Government of Karnataka Reimbursements the full Tuition Fee for students who wants pursuing post metric courses which are approved by the University/Board. Karnataka Government aimed for quality education for students of backward class welfare. KARePass system links all departments like treasury, SSLC Database, College and Banks together under one umbrella to distribute the scholarships to the backward class welfare students in a smooth manner. Students can verify the application number by logging into karepass.cgg.gov.in/searchapplicationno.do/ by providing required details. You can also verify the application status by logging into karepass. 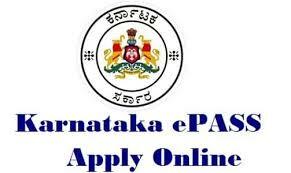 For further more information on epass Karnataka you can write an email to bcdbng@kar.nic.in. Prathibha Puraskar Scholarships Registrations for UG & PG.